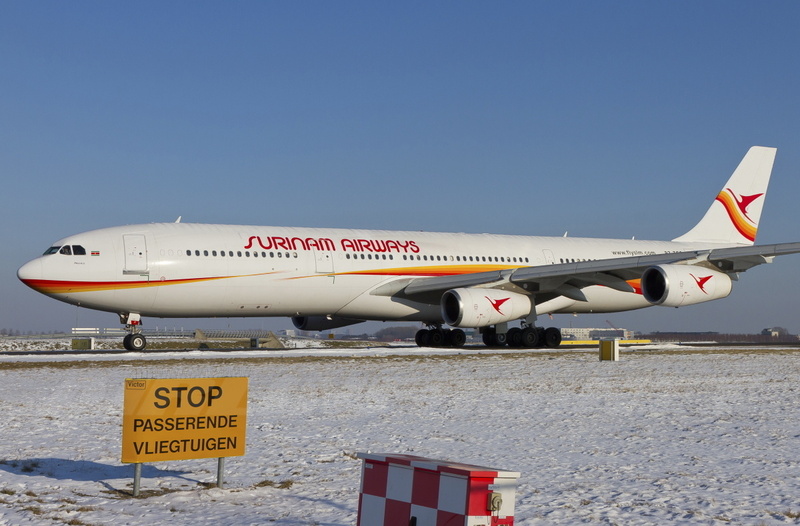 PARAMARIBO, Suriname — The board of directors of Surinam Airways (SLM: Surinaamse Luchvaart Maatschappij) has approved the acquisition of an additional aircraft to SLM’s fleet to complement regional routes, according to chairman of SLM’s Supervisory Board Gerard Brunings. Brunings said, “This decision has nothing to do with the pending discussion to fly to Haiti. Haiti has yet to be settled.” He said that the two Boeing 737s that SLM currently has in its fleet aren’t enough to service regional routes and that a third aircraft is needed to ensure a seamless operation. SLM will acquire a Boeing 737-3Q8, similar to the two Boeings in its current fleet in mid-April. The new aircraft will receive a major overhaul and will be repainted in SLM’s livery. By mid-June the aircraft will be ready for commercial service. According to vice president of SLM, Clyde Cairo, this third Boeing will serve as a backup to stabilize regional operations. Cairo added that the additional aircraft will be used for charter operations, SLM tours and increase frequency. “In addition, we look to increase frequency on existing routes and expand to other locations, where SLM later in the year will make more announcements,” Cairo said. There is speculation that SLM will later in the year fly to New York, Haiti and more cities in Northern Brazil. Flights to New York will be operated via Guyana. There is talk about additional SLM flights out of Guyana to Miami with the addition of this Boeing. DELTA Airlines is leaving Guyana in May and the government of Guyana has offered SLM incentives to fill this void. A DELTA employee familiar with the Guyana route, who preferred to remain anonymous, said, “Many DELTA flights in and out of Guyana face problems; there are baggage issues, theft, drugs and fines and it’s costing the airline a lot of money.”This source also confirmed that the load factor on DELTA’s Guyana route is very good. SLM’s operation regionally and the trans-Atlantic routes have often been disrupted due the lack of a back up aircraft and has been costing the airline heavily. The transatlantic route, where only one aircraft is deployed, an Airbus A-340-300, often experiences delays and cancellations. This, compounded with hefty EU fines, has cost the airline a lot of money. Once the lease of the Airbus 340 expires, SLM is looking to acquire two Boeing-767s, according to information coming out of Paramaribo. SLM’s Airbus A-340 at Schiphol/Amsterdam International Airport. This entry was posted in Airlines, Latin American Airlines, Latin American Flag Carriers, Surinam and tagged Airbus A-340-300, Boeing 737-300, SLM, Surinam Airways.